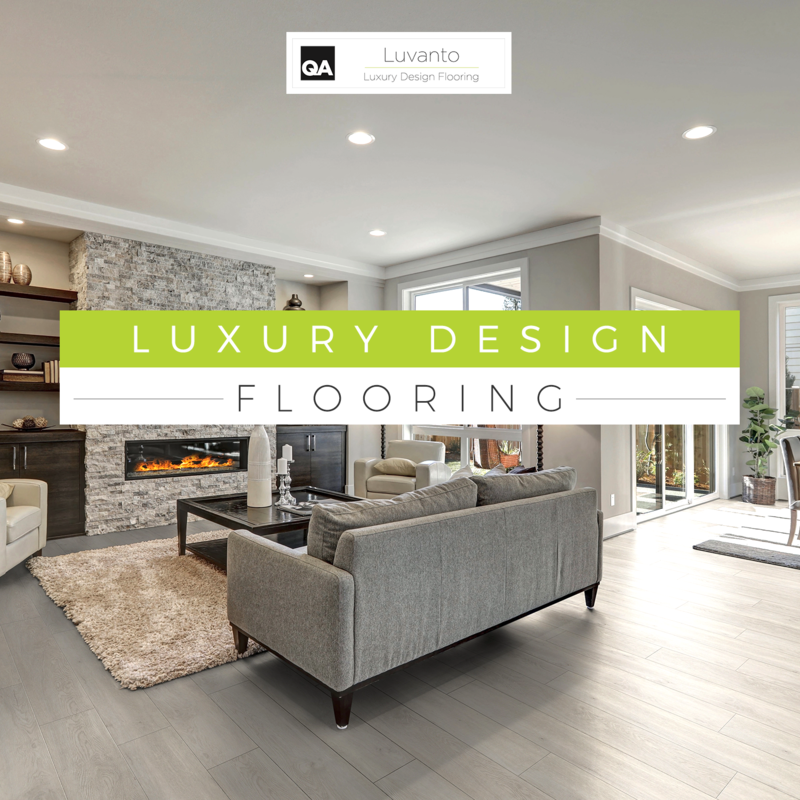 Luvanto proudly presents luxury design flooring, with three stunningly realistic ranges at affordable prices. This premium flooring product is available in a variety of stylish colours, patterns, effects and are incredibly durable and tough. Our three ranges ensure a complete peace of mind with their own unique features. 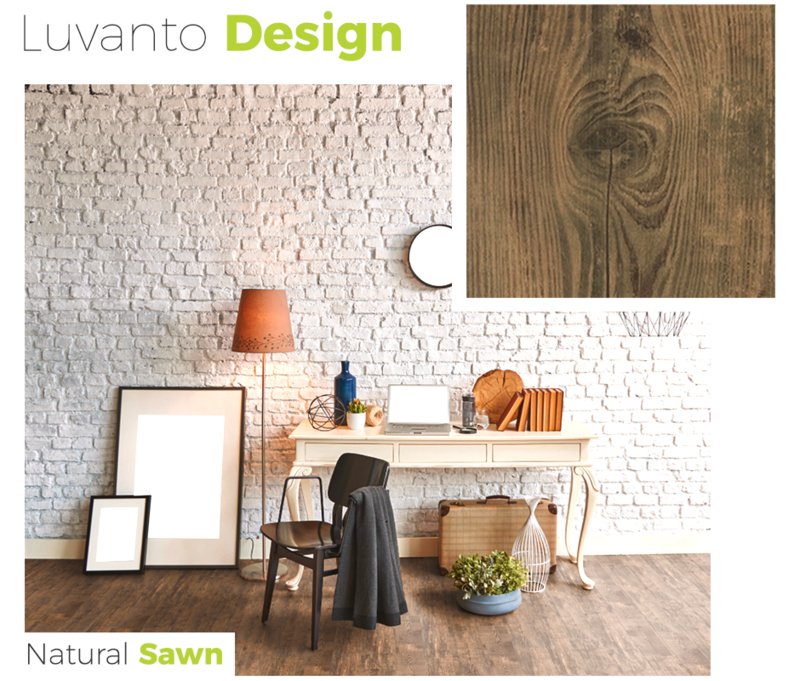 Luvanto Design offers a unique range of wood planks and stone tiles. This particular range is fitted using the glue-down method therefore it gives you endless options for laying patterns and design features. 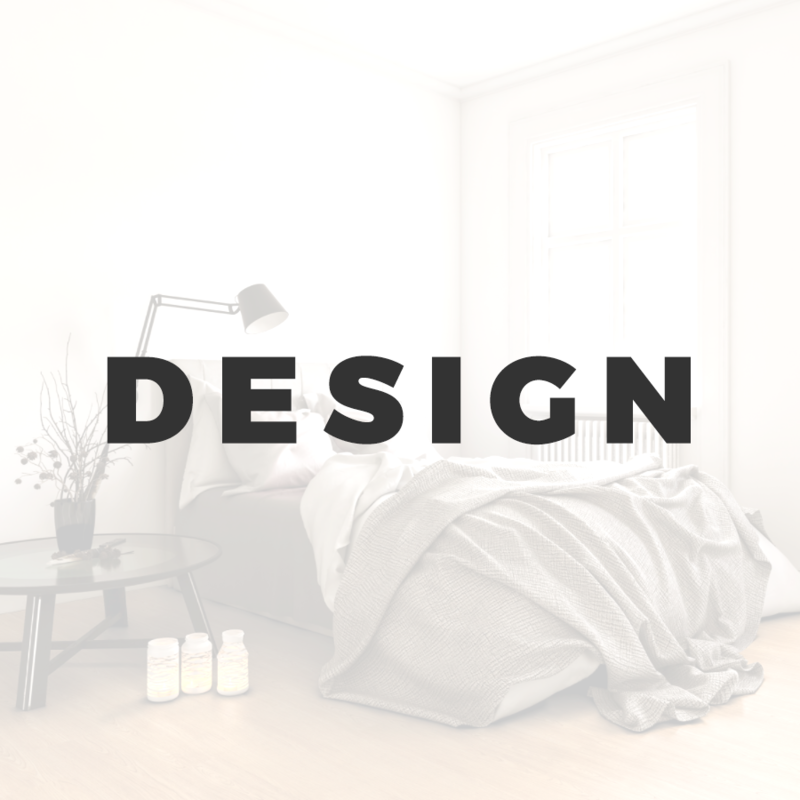 With this range you can be as creative as you like, allowing you to create a floor that is unique to your own home and ensuring you make that bold statement! Luvanto Design is extremely easy to clean and maintain, which is great for on the go home owners. 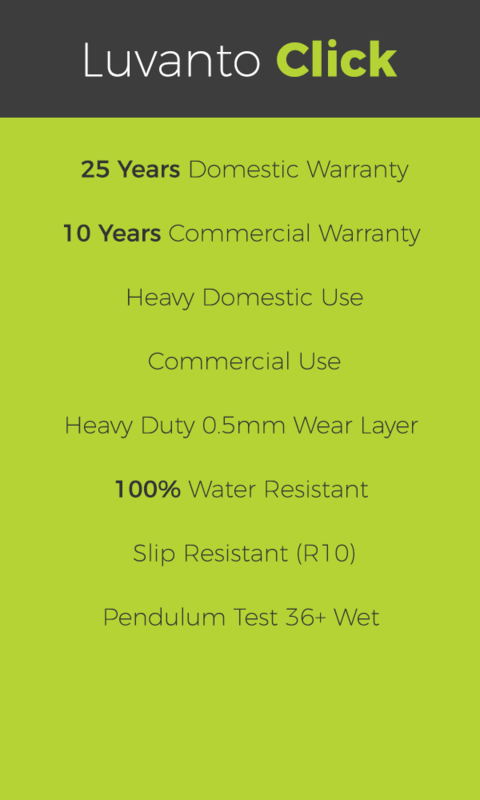 If you are in the process of choosing your home flooring and are concerned about stability and durability then the Luvanto Design flooring is the choice for you. It has a high slip resistance (R10) which means this is the right choice for elderly or small children who are just finding their feet. One of the most important components to this range is that the Luvanto Design does not shrink or expand as much as wood or laminate flooring, this is great if you want to add underfloor heating to your home. 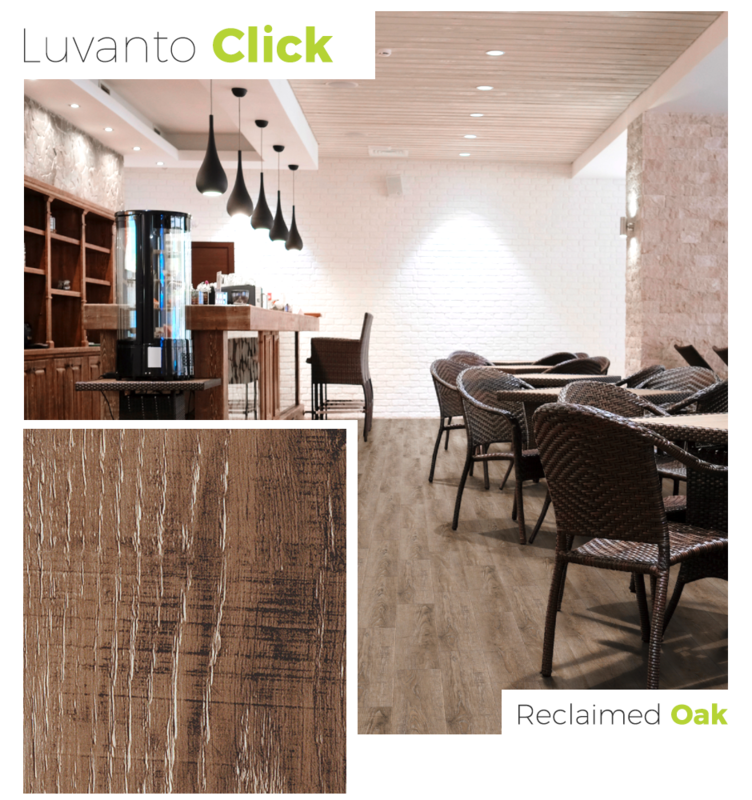 Luvanto Click is our quick fitting, hassle-free range – with a tough joint locking system you can enjoy your luxurious floor straight away! The Click range is perfect for any room but is most popularly used in bathrooms and kitchens where there is a lot of moisture. 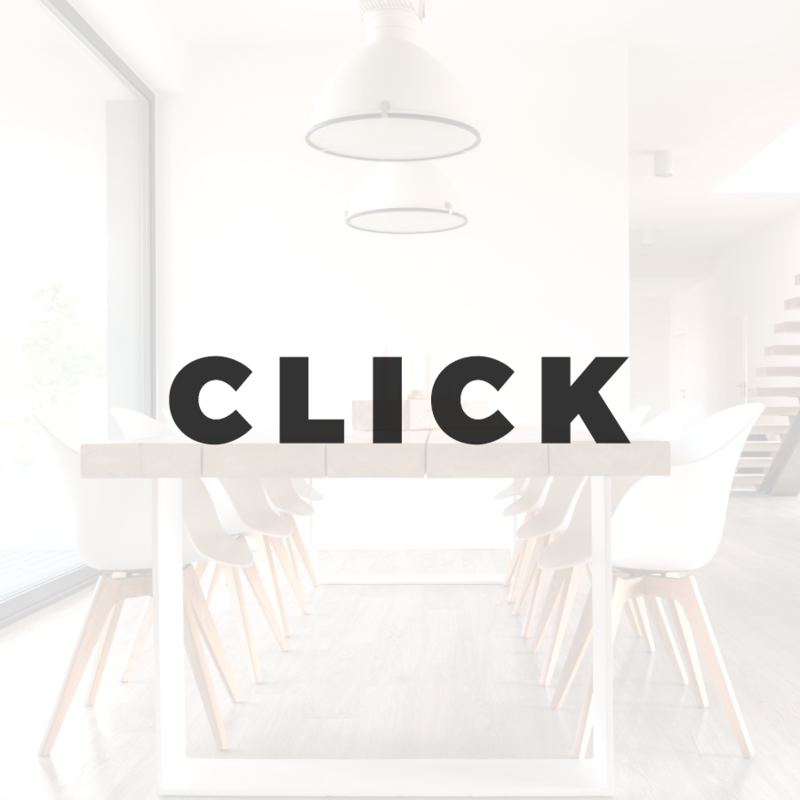 Luvanto Click's name originates from its quick and easy click joint system which means no mess and more importantly no glue! This is extremely popular with DIY fitters as you can walk on the floor as soon as it's fitted. Another special feature with the Luvanto Click is, when fitted with a SoundClick underlay, the floor will become much quieter which is ideal for noisy families or upper floor apartments. Our final Luvanto range is the incredible Luvanto Endure, this flooring is definitely the new generation of luxurious flooring and is perfect for everyone! 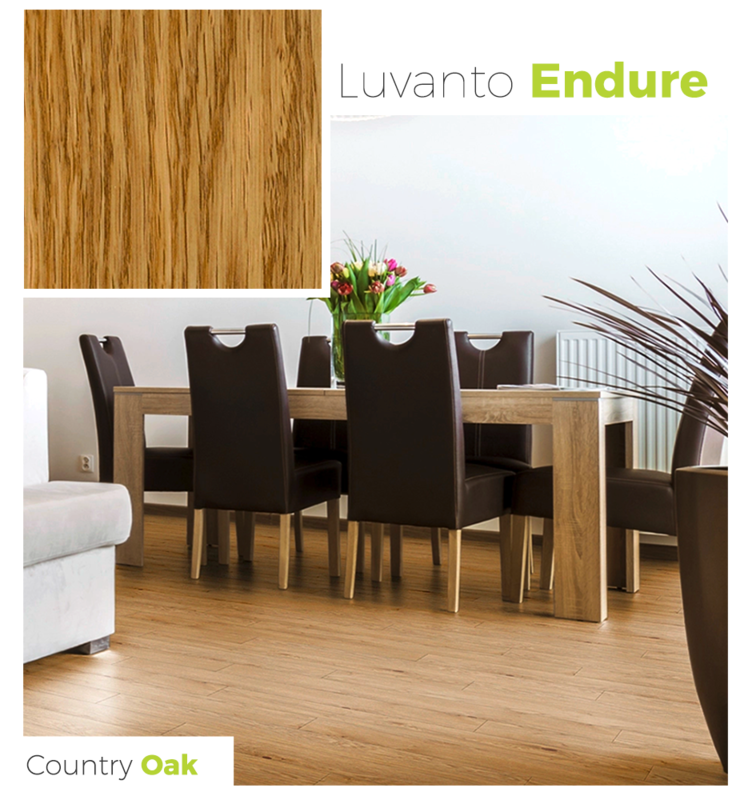 Luvanto Endure gives you the ultimate sound reduction, improved stability and durability meaning your floor will stand up to the heaviest wear without losing its elegant looks. 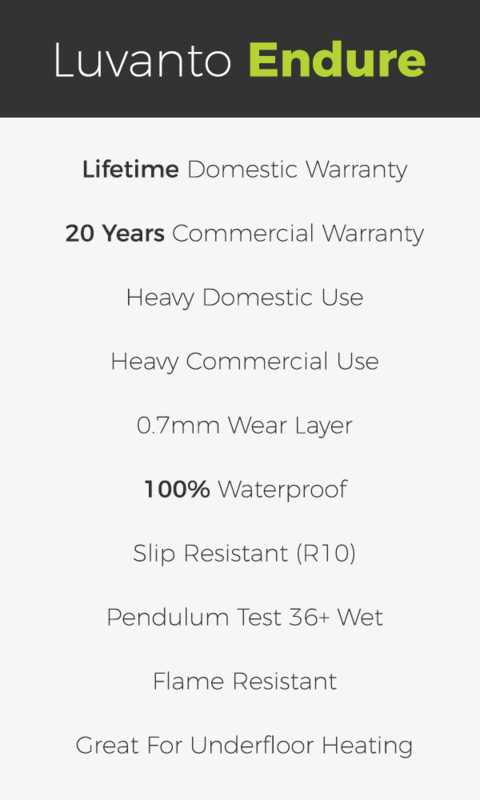 Similar to our other ranges, the Luvanto Click ensures soundproofing however.. Endures acoustic backing achieves an impressive 19dB impact sound reduction meaning there is no need for extra underlay. 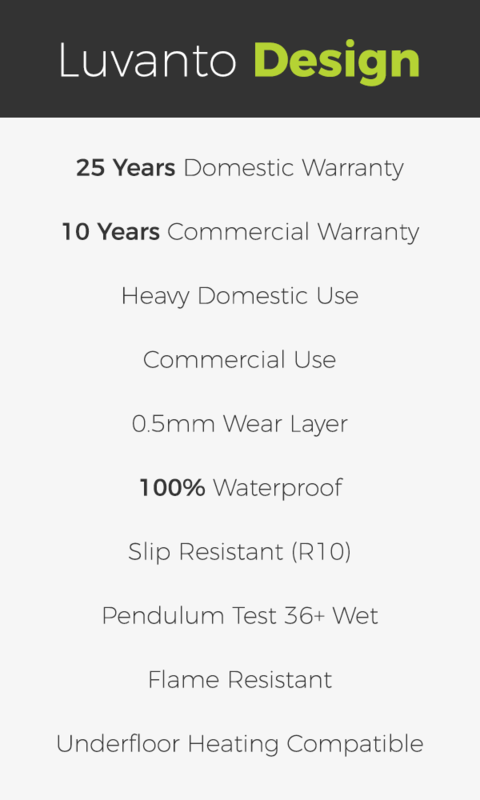 Luvanto Endure also lasts a lifetime, with a domestic warranty and a 20 year commercial warranty, now that sounds like complete peace of mind. This next generation flooring not only has a tough 0.7mm wear layer but is designed to up hold its luxurious looks. 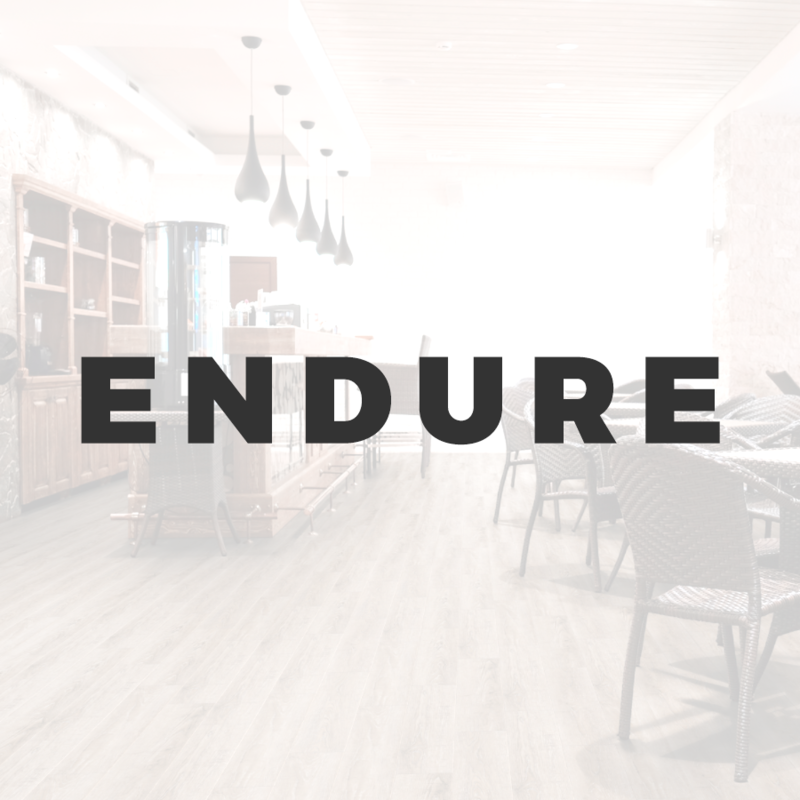 Additionally, Endure expands and contracts much less than standard click LVT, this makes the floor much easier to finish neatly.